The following is a guest article from SEGAbits writer Ben Burnham, who joined the website several years ago. He is an avid and long-time Sonic fan who’s written about the games numerous times over the years. As part of our intersite #Sonic23on23 celebration, Ben has written an article for us about what he thinks makes a bad Sonic game well…bad! Hope you enjoy. If there’s one series known as much for its failures as for its successes, it’s Sonic the Hedgehog. There was a time when SEGA’s famed mascot, spinoffs aside, seemed like he could do no wrong; The series was incredibly popular, and arguably a major reason the Genesis was able to put up such a strong fight against the Super Nintendo. 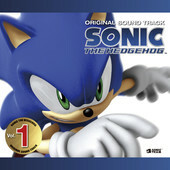 It then came time for Sonic to make the dreaded transition to 3D, and though critics and fans have become more jaded about the quality of the games in hindsight, the fact remains that Sonic Adventure and its sequel were given rave reviews and greeted with much fanfare when they were released on the Dreamcast. From there, however, it would become a bumpy ride. 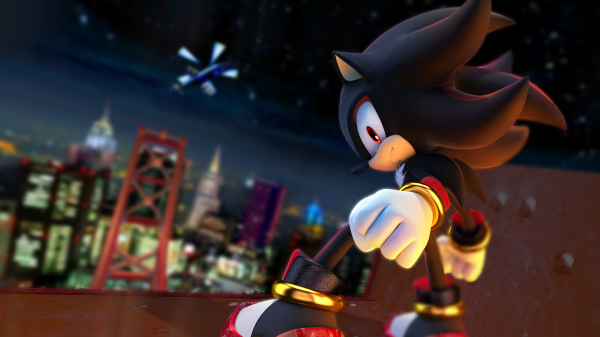 Sonic Heroes and Sonic the Hedgehog 4 divided the fanbase, while Shadow the Hedgehog, Sonic the Hedgehog 2006, and Sonic and the Black Knight were panned across the board. 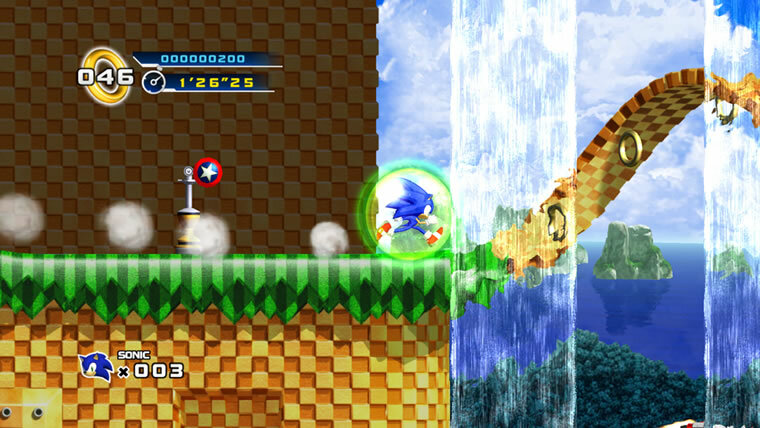 Sonic and the Secret Rings and Sonic Unleashed were met with only tepid enthusiasm, and even with the well-received Sonic Colors and Sonic Generations thrown into the mix, it remains evident that the franchise has struggled to find its ground in recent years. It makes sense then to answer, or at least attempt to answer, the big question of what makes a bad Sonic game bad, and how Sega can work to prevent future entries in the series from becoming bad. It seems like an easy question, but upon sitting down to write this article, it became clear to me just how difficult it is to answer. 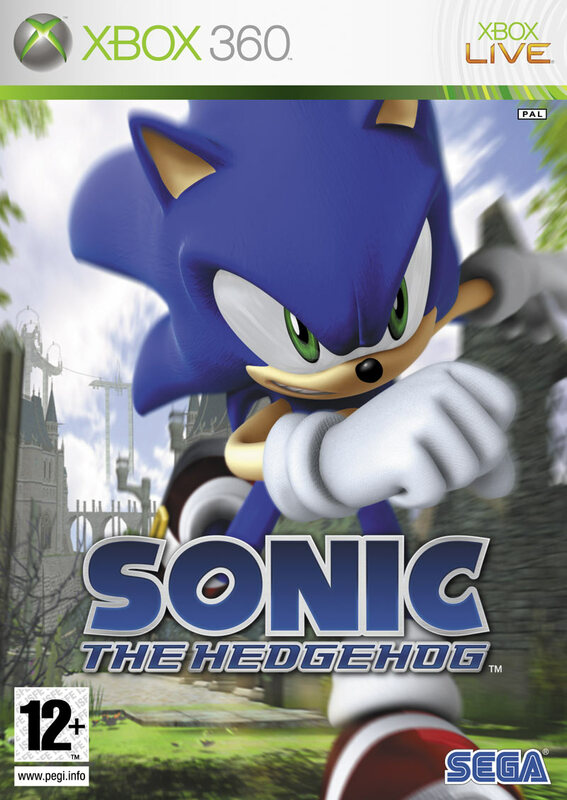 The Sonic Adventure games on the surface featured much of what fans would grow to hate about the series; multiple playable characters, a large variety of differing gameplay styles, linear levels with few paths, and cheesy presentation. With all that said, these factors didn’t seem to bother much of anyone back in 1999 and 2001. Upon giving it some thought, I’ve come to the conclusion that what made it work in those days was that the ideas back then were seen as being executed well. Most 3D platformers of that era didn’t feature multiple playable characters; and I don’t think many, if any at all, let you play as the villains in addition to the heroes. The freshness of these concepts certainly gave them strength, and while people universally preferred the Sonic gameplay to that of the other characters, the fanbase by and large didn’t question the existence of the other characters’ gameplay, seeming to accept them as a necessary part of those games. But it wasn’t just the fact that it was a new concept that made it a success. More importantly, the Sonic Adventure series was able to justify the other characters by getting their gameplay right and by giving them a role in the game that felt genuine and not like a marketing ploy. Though fairly simplistic, the shooting mechanics of characters like Gamma and Dr. Eggman were solid, doing their job and working the way they were supposed to. Many dreaded the Knuckles and Rouge stages in the Adventure series, but they provided a challenge and did what they were supposed to do. With the exception of Big the Cat, most of the gameplay in the Sonic Adventure games, if nothing else, proved itself worthy of being a part of the overall experience, and it fit organically into what those games were and what they set out to be. My big issue with where Sonic’s gone these days isn’t that they continue to add gameplay variety, but that the different gameplay they come up isn’t fun or well thought out. Amy Rose’s levels and her storyline in Sonic Adventure were short and didn’t overstay their welcome, while the Werehog in Sonic Unleashed had levels that felt like they went on for ages. Sonic Team back then knew where to devote the majority of their gameplay, while the Sonic Team of today releases games that are more Werehog than Hedgehog. The old Sonic Team knew how design gameplay centered on each characters’ unique strengths, while the new Sonic Team will add a parkour mechanic to a game and do almost nothing with it. If there’s one thing that I’d like more than anything to get across to those who make the Sonic games, it’s that the poor implementation of the ideas is the problem, not the ideas themselves. 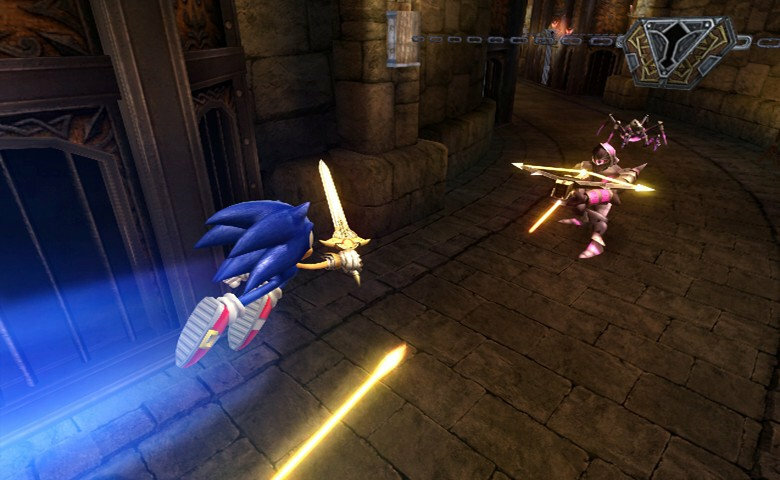 Nobody would have complained about using the sword in Sonic and the Black Knight if the swordplay was fun and didn’t detract from the experience. Developer Big Red Button didn’t pull punches when they revealed up front that Sonic Boom would be far heavier on the exploration elements than recent Sonic titles, and I personally believe that many in the fanbase were optimistic about this, or at least hopeful, that we would have a fun new take on the franchise. It’s a series that’s flexible enough to warrant change, and to regularly shake things up, and these things are what keep things fresh. It’s in this sense that Sega shouldn’t be afraid of new ideas. New ideas are what keep long-running series’ going, and without them, they eventually cease to exist. What makes a bad Sonic game bad isn’t that it features a new take on the character, or a new style of gameplay, but that the gameplay isn’t well-developed or fun. It’s not enough to just give Sonic a sword and call it a day, but the gameplay has to be paced well, using the sword has to be fun, and the new gimmick needs to justify its existence rather than simply feeling like a way to sell Happy Meals. A Sonic game that feels more like an exercise in marketing than a well-made product is a bad Sonic game. A Sonic game that’s released unfinished, where it’s evident that monetary return was more important to its publisher than putting out a quality game, is a bad Sonic game. These are aspects that should apply to any game, but the Sonic franchise has fallen into these traps repeatedly. The worst Sonic games either banked too much on ideas that didn’t work or weren’t fun, or they attempted to do far too much with too little development time. There’s a level of quality that’s just expected from an IP of Sonic’s stature. Developers who are content enough to add guns to a Sonic spinoff, but not to make the effort to ensure that they work properly and that gamers would be happy to use them, are not doing justice to the series. Ideas that just seem to come across (at best) as “okay” in practice shouldn’t be included in a game, even if they’re for secondary characters, or if they’re in addition to strong speed sections. The ideas should never be making it past the planning stages because they aren’t worthwhile additions to the gameplay. Looking towards the upcoming Sonic Boom, my fear is that it will be a bad Sonic game. I hope I’m wrong; I was so excited when it was first announced, believing that it would be a promising new start for the iconic mascot. If a combat system, which currently looks to (but hopefully does not) take up a majority of the game, is being viewed by the majority as something that isn’t fun, then it’s something that the developers need to make note of and fix. It’s something that they should have caught before the game was even shown, because what makes a good Sonic game good, just like with what makes any game good, is that it’s fun to play. Through it all, that’s the most important thing. The conclusion after all this is so simple, but it’s one that has in the past so easily eluded Sega’s grasp; the game has to be fun to play. 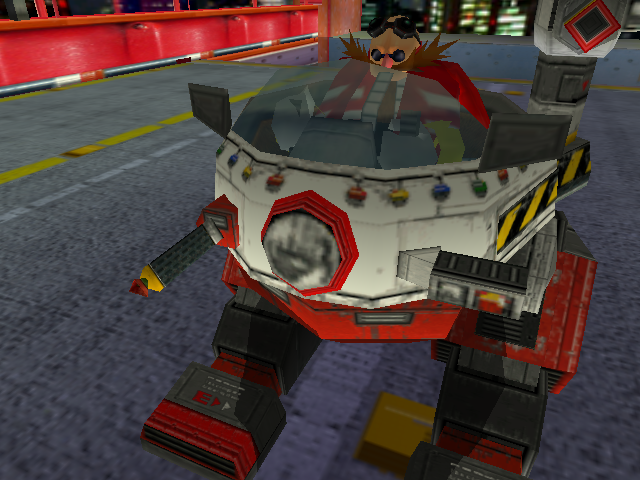 No matter what longtime fans may think of putting a villainous hedgehog on a motorcycle and sending him into battle, if the gameplay was fun to play, people would have eventually grown to accept it. Fun speaks volumes, and ultimately is the most important part of all forms of entertainment. If any aspect of the experience, especially a major aspect, proves not to be fun, or proves not to justify itself in the context of the game it’s in, then that’s when we have a problem; because, in my view, that’s when we have a bad Sonic game. …well, it’s going about as well as you’d expect, considering what game they’re playing. So, a few fans have taken the helm at animating some of their best, worst, and random moments! And I honestly hope your wallets are ready for them. The folks at SEGA are working on double time as of late. From the North American premiere of Disney’s Wreck-It Ralph last weekend, where the blue blur made numerous cameos, and with Sumo Digital’s Sonic & All-Stars Racing Transformed on the way this month, some would expect that that would be all from SEGA for the upcoming holidays. 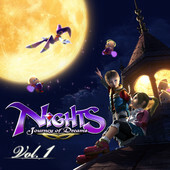 With everyone’s attention elsewhere, SEGA has quietly released numerous soundtracks onto the iTunes market. 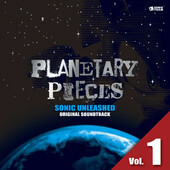 Available for select regions, specifically the US, Japan, and most of Europe, the onslaught of soundtrack releases began last week with Sonic the Hedgehog Original Soundtrack and Sonic Unleashed Original Soundtrack: Planetary Pieces. 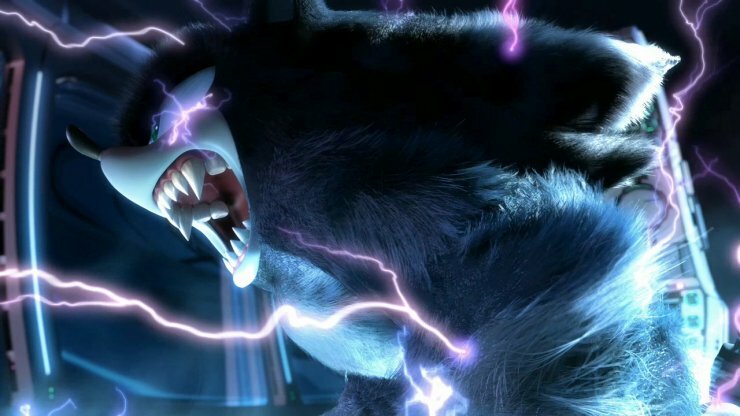 Eager fans of Sonic Unleashed and Sonic 2006‘s music may now procure the complete soundtrack to both games! And today (by EST standards, mind you! 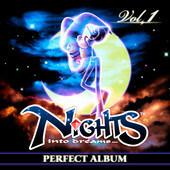 ), I was notified by TRiPPY of NightsintoDreams.com that NiGHTS into dreams… Perfect Album and NiGHTS: Journey into Dreams Original Soundtrack have both snuck onto the digital music marketplace as well! The timing is perfect, considering that NiGHTS into Dreams saw an upgraded rerelease onto XBLA and PSN worldwide just last month (which, if you haven’t bought and played already, you should)! Internet funnymen JonTron and Egoraptor premiered a new playthrough just an hour ago on their gaming/comedy channel, Game Grumps! Gee willikers, I wonder what fantabulous game the Game Grumps will begin to play for our enjoyment today! Is it a most awesome one? AND THEY HAVEN’T EVEN STARTED PLAYING THE FIRST LEVEL YET, FOLKS! No, really. It takes a saint to have to rewatch nearly every cutscene in Sonic 2006 and have the patience to make a music video out of its dialogue. And it’s too addicting to put down. Also, if you spot the in-music reference, congratulations! You earned bragging rights! “Megamix” is right! What a gargantuan mash-up! Hauntershadow, who you may recall as the one behind the Bowser vs. Eggman mash-up a while back, put this together… and holy hell, what a masterpiece! In fact, head on after the jump to see a list of all the tracks that have been put together! Freak-Out Friday: That Tornado’s Carrying a Car! Worst part of this is: I’m not even joking. No, seriously. That Tornado is really carrying a car. Special thanks to Masaru Daimon on the SSMB for the tip! freak out fridayI C WUT U DID THARmegamaniscrazySonic 2006Sonic Generationsthat tornado is carrying a car! Watch out, lassies! For this week’s Freak-Out Friday, we’ve got something that’s pawsitively fetching! YouTube user Melpontro gave Sonic the Hedgehog 2006 a new leash on life as he hacks into the game and starts playing with the models, unintentionally creating a new story. It is the story of a young pup who’s had it ruff, until one day, he is found by a certain blue hedgehog who just arrived to the kingdom of Soleanna. What the hedgehog didn’t count on was the impact he left on the beloved dog. To this day, the pup still looks up to Sonic. Striving to be as fleat as the blue blur, to reach high speeds without having to pawse, to keep a pawsitive outlook on life… and to make all of those Eggman’s robots run for the hills! …of Pelé, the Beloved Dog. Now that’s a good boy! Check out more of Melpontro’s Sonic ’06 hacks after the jump. Beagl-ad there were puns this Friday! British multi-format videogame magazine GamesTM have become the latest publication to take another punt at the Sonic franchise. Each month the magazine has a top 10 list with a different subject every issue. For example previous lists have been about the top 10 ‘Best First person Shooters’, ‘Most Emotional Moments In Gaming’ and ‘Worst Things About Great Games’. Issue 90 of GamesTM counts the top 10 videogame franchises that lost their way placing Sonic in the number one spot. “Some developers have talet. It’s as simple as that” write GamesTM. “Series like Half-Life, Zelda and Grand Theft Auto have consistently maintained a level of quality with only the most minor of tremors causing concern along the way. It’s a very rare thing, though.” The magazine go on to say more commonly some franchises get things disastrously wrong and ‘jump the shark’ though many manage to learn from their mistakes quickly. Tomb Raider: Angel of Darkness is an example of that. According to them Sonic has failed to improve since the next-gen era began, branding Sonic’s 2006 game his most appalling appearance to date. Though the magazine has been hyper critical of Sonic’s next-gen efforts they’ve been much more receptive to the Rush series on DS and even bestowed an 8 out of 10 on Sonic & The Black Knight stating that it “stands out as one of the better Sonic games because of its consistency. What you experience from the start can be expected right up until the end. There are no nasty surprises, no ill-considered gameplay changes and no sense that Sonic Team is ever confused about what the game is supposed to be.” Generally the GamesTM staff seem to genuinely like Sonic but are frustrated with recent entries to the series. Time will tell if the secretive Project Needlemouse can win them and the wider gaming media over. Issue 90 of GamesTM is out now.